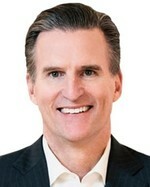 Hal Lawton was named president of Macy’s in September 2017. As president, Lawton is responsible for all aspects of the Macy’s brand, including merchandising, marketing, stores, operations, technology, and consumer insights and analytics. Previously, Lawton was senior vice president, eBay North America, since April 2015. In that role, Lawton oversaw all aspects of eBay’s Americas business unit, including marketing, merchandising, operations, business selling, consumer selling, and advertising, as well as global responsibility for shipping, payments, risk, and trust. 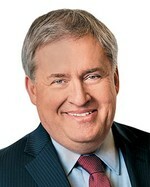 Prior to joining eBay, Lawton spent 10 years in various leadership roles at Home Depot, where he most recently was senior vice president for merchandising. Lawton was responsible for accelerating the growth of Home Depot’s Internet business and building it to nearly $2 billion. Prior to that, Lawton was an associate principal at McKinsey & Co., providing strategic advice to executive teams in consumer packaged goods and manufacturing industries. Lawton serves on the board of Sealed Air Corporation. He also serves on the corporate advisory board for The University of Virginia’s Darden School of Business and is a member of the CEO Roundtable for the American Heart Association. He holds an MBA from the University of Virginia and dual bachelor’s degrees in Chemical Engineering, and Pulp and Paper Technology from North Carolina State University. Paula A. Price joined Macy's, Inc. in July 2018 as the chief financial officer. Price is responsible for leading the company's finance, accounting, investor relations and internal audit functions. Price has 30 years of finance experience in retail and consumer-facing businesses. Prior to joining Macy's, Inc., she was a full-time senior lecturer at Harvard Business School. Price’s prior roles include executive vice president, chief financial officer of Ahold USA, and senior vice president, controller, and chief accounting officer of CVS Caremark Corporation. At Ahold, Price was responsible for finance, accounting and shared services; strategy and planning; real estate development and construction; not-for-resale sourcing; and information technology. Price spent her early career at JPMorgan Chase, Diageo, Kraft and Sears. Price is a certified public accountant and she holds an MBA with specialization in Finance and Strategy from University of Chicago Booth School and a bachelor's degree in Accounting from DePaul University. Elisa D. Garcia joined Macy's, Inc. in September 2016 as the chief legal officer. She serves as the legal advisor to senior management and the board of directors and is the Macy’s, Inc. corporate secretary. Garcia also oversees the law department and government affairs functions located in Cincinnati, St. Louis, San Francisco, and New York City. Prior to joining Macy's, Garcia had 16 years of broad-ranging experience as a corporate general counsel for major consumer-facing companies. She joined Office Depot, Inc. in 2007 as executive vice president/general counsel and secretary, and became the chief legal officer in 2013. Before joining Office Depot, she served as executive vice president/general counsel and secretary of Domino's Pizza, Inc. Earlier in her career, Garcia served as regional counsel, Latin America for Philip Morris International, international and corporate counsel for GAF Corporation, and as a corporate finance associate with the law firm of Willkie Farr & Gallagher. A native of Brooklyn, Garcia's first language is Spanish. She earned a law degree from the St. John's University School of Law in New York. She holds bachelor's and master's degrees from the State University of New York at Stony Brook. John Harper was appointed chief stores officer in September 2017, prior to which he held the role of president of store operations. He is responsible for overseeing all aspects of store strategy, including the field stores organization of regions, districts, and stores with responsibility for localizing the customer shopping experience and customer engagement. He is also responsible for store visual merchandising, merchandise execution and selling strategy. Harper has more than 30 years of experience at Macy's, Inc. and its predecessor companies. 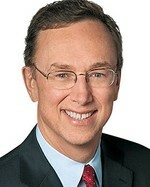 Prior to being named president of store operations, Harper held various roles throughout the company, including vice chairman of Macy's Midwest and chairman of Hecht's. Harper began his career at Kaufmann's in 1983. Harper holds a bachelor’s degree in communications and political science from the University of Pittsburgh and an MBA in finance and accounting from the University of Pittsburgh. Cheryl Heinonen joined Macy's, Inc. in January 2017 as executive vice president of corporate communications. In this role, Heinonen drives the strategic narrative for Macy's, Inc. across all audiences. She is responsible for corporate communications, media relations, corporate giving, corporate social responsibility and diversity & inclusion. 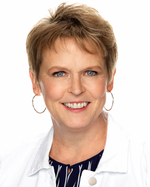 Prior to joining Macy's, Inc., Heinonen held the position of senior vice president, corporate relations and chief communications officer at Avon Products, Inc. and president of the Avon Foundation for Women, a public 501c3 charity. Prior to joining Avon, Heinonen was managing director at Burson-Marsteller, a leading global communications agency. Before assuming her role at Burson-Marsteller, Heinonen worked at Visa, most recently as senior vice president of global corporate relations. Heinonen serves on the board of the Make-A-Wish Foundation. Heinonen earned a bachelor's degree in Political Science from Bryn Mawr College in Pennsylvania. 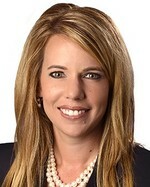 Danielle Kirgan was named chief human resources officer of Macy's, Inc. in October 2017. As chief human resources officer, Kirgan is responsible for the full range of human resource functions, including strategy, associate relations, organizational development (corporate, field and logistics), talent and performance management, compensation and benefits, and training and development. Previously, Kirgan was senior vice president/people at American Airlines since October 2016. In that role, she was responsible for all global human resource functions for the airline, including talent acquisition, training and talent development, compensation, benefits and diversity. 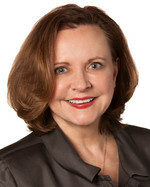 Prior to joining American Airlines, Kirgan held various leadership positions at Darden Restaurants, where she most recently served as chief human resources officer. Kirgan has also held leadership roles in human resources for ConAgra Foods, W.W. Grainger and TeleTech Holdings. Kirgan serves on the NRF Foundation board of directors. Kirgan holds a bachelor's degree in Business Administration from Illinois State University. Naveen Krishna joined Macy's, Inc. in June 2018 as chief technology officer. He is responsible for driving technology strategy and direction for Macy’s, Inc., including all store, e-commerce and internal-facing technologies. Krishna oversees the teams that build the end-to-end e-commerce experience, enterprise-shared services, infrastructure, field services and functional IT support. He has more than 20 years of experience leading technology organizations in the retail and consumer products industries. 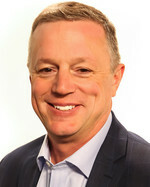 In his most recent role as vice president of technology for The Home Depot, he was responsible for leading The Home Depot's digital and omnichannel platforms growth and delivering omnichannel capabilities, customer care, and marketing platforms, and establishing Enterprise User Experience discipline. 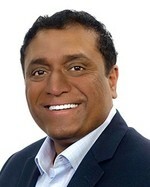 Prior to joining The Home Depot in 2010 as senior director of information technology, Krishna was a director at Target with overall accountability for Target.com technology and operations. He also spent 13 years in leadership roles with FedEx Kinko's and Deloitte Consulting. Krishna holds a master's degree in management from the Georgia Institute of Technology; a master's degree in mechanical engineering from the University of Missouri; and a bachelor's degree in mechanical engineering from Mysore University in India. 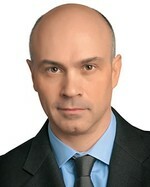 Richard A. Lennox joined Macy's, Inc. in September 2016 as the chief marketing officer, with responsibility for Macy's omnichannel market presence and strategy, including brand, promotional, store, digital, events marketing activity, special events and branded entertainment. Prior to joining Macy's, Lennox served as senior vice president and chief marketing officer of Toys "R" Us since 2014, with responsibility for all components of marketing strategy for the company's portfolio of brands. This included leading the development of brand strategy and optimizing the company's marketing and digital presence to drive sales growth and customer loyalty. For the five years prior to Toys "R" Us, Lennox was executive vice president/chief marketing and e-commerce officer at Zales Corporation, where he was instrumental in the development of the company's strategic business plan and marketing approach across channels. From 1992 to 2009, Lennox was a senior-level executive and strategist at J. Walter Thompson, where he led the De Beers Group, overseeing all operations for its U.S. marketing function, as well as new product and business development. 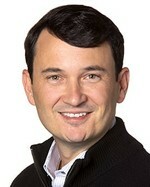 Lennox served as JWT's executive vice president/U.S. marketing director for De Beers. In his tenure with JWT, Lennox was also account leader for major brand clients, including Kellogg's, Nestlé, Unilever and Warner-Lambert. Lennox holds a bachelor's degree from Reading University in Berkshire, England. 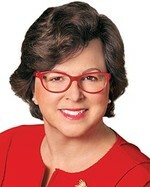 Patti Ongman has been with Macy’s, Inc. for more than 30 years and was appointed chief merchandising officer in March 2019. Prior to this, Ongman was EVP, general business manager, for Home, Ongman was responsible for all aspects of the Macy’s Home business, including merchandising, private brands and planning. 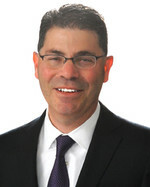 Prior to that, Ongman served as Macy’s chief planning officer, responsible for centralized merchandise and financial planning and assortment allocations by store, as well as the district/region merchandise planning structure and function that supported the signature My Macy’s localization strategy. 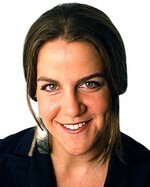 Ongman began her career in store management. She is known for her deep understanding of brands, both private and national, and how to express these brands within Macy's. Ongman serves on the board of directors for New Yorkers for Children and is a member of The Women’s Forum. She is also a founding executive sponsor of WAM (Women at Macy’s) Employee Resource Group. Ongman earned a bachelor's degree from The University of Alabama. Jill Ramsey joined Macy's, Inc. in January 2018 as chief product and digital revenue officer. In this role, she oversees digital revenue, enterprise product management, the enterprise portfolio, digital merchandise management, site production, and the user experience. She also has responsibility for the product management teams that support both Macy's and Bloomingdale's. Ramsey has more than 20 years of experience in a variety of roles across e-commerce. Most recently, she was vice president, GM of Vertical Businesses at eBay, where she led merchandising, had P&L responsibility for a majority of eBay's U.S. sales, and oversaw most product categories and support functions. 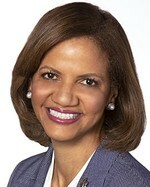 Prior to joining eBay in 2015, Ramsey held various leadership positions at Walmart.com, where she most recently served as vice president - Merchandising. Ramsey holds an MBA from Northwestern University's Kellogg Graduate School of Business and a bachelor's degree in English from the University of Chicago. Doug Sesler joined Macy’s, Inc. in 2016 and is responsible for the real estate holdings of Macy's, Inc., including the overall strategy to enhance real estate value and shareholder return. He has been involved in the real estate advisory, investing, finance and restructuring businesses for over 30 years. Prior to joining Macy's, Inc. he consulted on strategic and operational matters for several parties, including iStar Financial and Lehman Brothers, Bentall Kennedy and Clarion Partners. Prior to this, he was the global head of real estate principal investments at Bank of America Merrill Lynch where he managed an $8 billion portfolio of opportunistic real estate for the firm's balance sheet and for third-party fund investors. Prior to this, Sesler was the co-head of Merrill Lynch's global real estate investment banking unit and was a managing director in the real estate investment banking unit at Citigroup. During his career, he was responsible for numerous M&A transactions, IPOs, and capital raising efforts (both debt and equity). Sesler's early career included positions at Chemical Bank and Travelers Insurance as a lender, equity investor, and restructuring specialist. Sesler has been a member of The Real Estate Roundtable, The Urban Land Institute, NAREIT, Pension Real Estate Association and the ICSC. He is also a guest lecturer at Columbia University. Sesler holds a bachelor’s degree in government from Cornell University. Rachel Shechtman joined Macy's, Inc. as brand experience officer and founder of STORY in May 2018. With more than 15 years of entrepreneurial and brand consulting experience, Shechtman brings her passion for integrating marketing and merchandising to life through new innovative in-store experience strategies. In December 2011, Shechtman launched STORY a rotating concept shop in New York City that changes out its entire store around different themes, including Beauty, Home for the Holidays and Wellness. STORY is often referred to as a living magazine and has received international attention for being the first retailer to launch its signature model 'Retail Media' - a unique blend of brand sponsorships and ever-changing assortments and event programming. Prior to STORY, Shechtman founded Cube Ventures, a retail and marketing consultancy. In 2016, Shechtman was named to the Board of Directors of the National Retail Federation; in 2017 the AAF inducted Shechtman into its Advertising Hall of Achievement; in 2018 Shechtman was named a Henry Crown Fellow by the Aspen Institute. Shechtman holds a bachelor's degree in Economics from Colorado College. Tony Spring became chairman and chief executive officer of Bloomingdale's in February 2014, with responsibility for all facets of the Bloomingdale's brand, including merchandising, marketing, operations, stores and online. 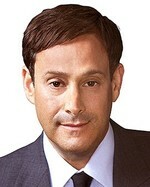 Previously, he served as president and chief operating officer of Bloomingdale's since 2008. Spring began his Bloomingdale's career in 1987 as an executive trainee in the White Plains, NY, store. Over the next eight years, he assumed positions of increasing responsibility in the home furnishings area before being promoted to senior vice president for home furnishings. In 1998, Spring was promoted to executive vice president for marketing and, in 2003, added bloomingdales.com, Bloomingdale's by Mail and restaurants to his responsibilities. In 2004, Spring was named senior executive vice president responsible for marketing, Bloomingdale's Direct and restaurants. A year later, he was promoted to senior executive vice president and director of stores, with additional responsibility for Bloomingdale's shopping services and creative services. Spring became president and chief operating officer in 2008 with responsibility for Bloomingdale's stores, marketing, creative services, finance, operations, and restaurants. Chief Executive Officer, Co-Founder of Bluemercury, Inc.
Marla Beck is the chief executive officer and co-founder of Bluemercury, Inc., a high-growth luxury beauty retail chain, acquired by Macy's, Inc. in 2015. Bluemercury is widely recognized as a disrupter in the beauty retail industry with its creative approach to personalized beauty solutions and its innovative human resource model. Ms. Beck also co-founded M-61 Laboratories in 2008, makers of M-61 Powerful Skincare, a revolutionary natural skincare brand, and Lune+Aster Beauty, a vegan cosmetic brand. In 2014, Ms. Beck received an appointment by Harvard Business School as an Entrepreneur-in-Residence and was named as one of Goldman Sachs' 100 Most Intriguing Entrepreneurs. She serves on the Advisory Board of Harvard Business School's Rock Center for Entrepreneurship, the Advisory Board of The Center for Public Leadership at Harvard's John F. Kennedy School of Government, the Board of Directors of the National Retail Federation, the Cosmetics and Fragrance Advisory Board at The Fashion Institute of Technology and serves on the Board of Directors of The Children's Place. Prior to founding Bluemercury, Ms. Beck was a consultant at McKinsey & Company. She holds a Master of Business Administration from Harvard Business School, a Master of Public Administration from Harvard University's John F. Kennedy School of Government, and a bachelor's degree in Economics from the University of California, Berkeley. Chief Operating Officer, Co-Founder of Bluemercury, Inc.
Barry Beck is the chief operating officer and co-founder of Bluemercury, Inc. Beck leads the company's strategic growth initiatives and oversees all aspects of Bluemercury's operations. In 2008, Mr. Beck also co-founded M-61 Laboratories, makers of M-61 Powerful Skincare, a revolutionary natural skincare brand, and Lune+Aster Beauty, a vegan cosmetics brand. Mr. Beck was named the 2017 Retailer of the Year by Total Retail Magazine and was the recipient of the 2016 Retail Innovator of the Year Award by Retail TouchPoints Magazine. Prior to co-founding Bluemercury, Mr. Beck participated in the founding of Tower Systems, Inc., now known as U.S. Maintenance, a contract services business serving national retail chains, which was later acquired by Emcor Group, a Fortune 500 Company. Mr. Beck currently sits on the Trustee Council of Cornell University, the Advisory Council of Cornell University's ILR School, the Advisory Board of The Fashion Institute of Technology, and on the Advisory Council of the Federal Reserve Bank of Richmond. Mr. Beck received a bachelor's degree from Cornell University.